A community musician, yesterday, sang for an end to the Irish Direct Provision System (DPS) during the third leg of the Irish World Music Café in Limerick. The music café is a free social and musical gathering that takes place monthly to track the impacts of the Sanctuary project. This initiative was created by The Irish World Academy of Music and Dance at the University of Limerick to support musical activities with new migrant communities. 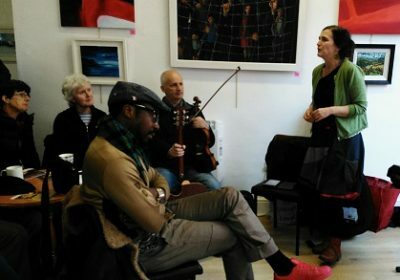 Singer and researcher of Irish traditional song, Róisín Ní Ghallóglaigh, called for the abolition of the DPS that accommodates asylum seekers, as she performed her original song, titled, Release Me. “I have been against direct provision for a very long time and understanding the power of song, I knew that if I could write it down, I could make a change. The song has been recorded by the University of Limerick Gospel Choir, and directed by singer, songwriter and community musician, Ms Kathleen Turner. The choir hopes to release it before Christmas. everyone can join in the song and sing for freedom. Guest lecturer and PhD student at the University of Limerick, Ras Mikey Courtney, welcomed everyone, saying, “artists” from around the world had again joined together to “share their diversity and contribution to Limerick”. 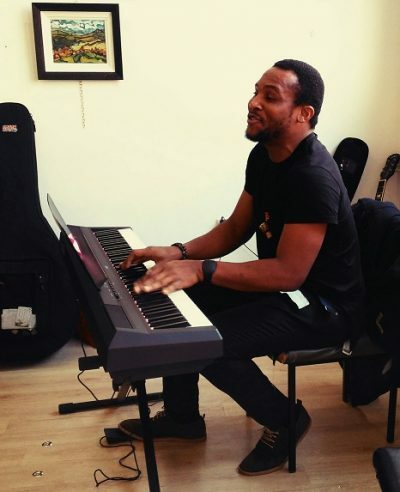 The third leg saw performances in Igbo, Pidgin English and English languages by singer and former contestant of The Voice of Ireland, David Idioh. He covered songs from Lean on Me, Stuck on You, to He Lives in You, the soundtrack of the much acclaimed Disney animated film, The Lion King 2. 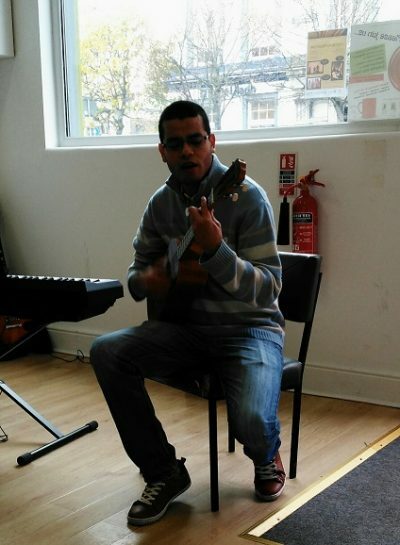 Other performers included Venezuela’s Marcos Hernandez and the longest Congolese band in Limerick, Elikya, as well as from audience members, including, Ray, who performed and dedicated a song to his wife who passed away last year. The world music café is highly recommended and continues to attract diverse crowds. This leg saw the attendance of a fan who said they preferred to be late for their dentists’ appointment than miss the show. The music festival also brought an end to the day’s heavy downpour, much to the delight of everyone and including, Director of the Sanctuary and Singing & Sustainable Social Integration Initiative, Professor Helen Phelan. The music café features musicians from new communities, students from the Irish World Academy of Music and Dance and local artists. It also allows audience members to perform songs of their choice, while also offering a fantastic way for people to connect with one another, particularly when there are language barriers. The last leg takes place on Thursday, 8 December, and promises to be the biggest of the series. It will be held at the same venue, Central Buildings. Community Café & Gallery at 51 O’Connell Street, Limerick. The café is a joint project by the Irish Research Council, The Irish World Academy of Music and Dance and Limerick based migrant support network, Doras Luimni.